Commercial mother-daughter pilot teams are extremely rare in an industry where less than 5% of all commercial pilots are female. A mother-daughter pilot team inspired people around the world when they shared the cockpit of a Boeing 757! Captain Wendy Rexon and her daughter, First Officer Kelly Rexon, flew together from Los Angeles to Atlanta in March. When only 6% of commercial pilots in the U.S. and less than 5% globally are female, female pilots are already a rare sight but mother-daughter flight teams are virtually unheard of. Dr. John R. Watret, who took the pilots' photo, observed that such role models are important to encourage young women's interest in aviation: "The first officer had a great role model for becoming a pilot – her mother... It’s good for aviation and inspiring for all of us." Watret, the chancellor of Embry-Riddle Aeronautical University, a university which specializes in aviation and aerospace, first learned about the unique flight team when he overheard a family asking if their kids could visit the flight deck. "The flight attendant said they could – and that they would be surprised," recalls Watret. When they came back, he overheard the kids excitedly talking about the mother and daughter flying the plane. "I thought that was amazing. I was in awe," says Watret. "I asked if I could visit them, too." With their permission, he tweeted the photo he took, writing "Just flew from LAX to ATL on Delta piloted by this mother daughter flight crew. Great Flight. 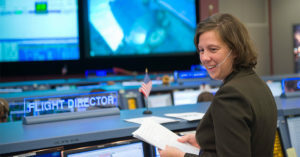 Inspiring for young women." Before long, it spread widely on Twitter, and Delta's official Twitter account tweeted: "We are very #DeltaProud of Wendy and Kelly! #KeepClimbing." Given the scarcity of women pilots, it's no wonder that the pair captured the imagination of so many people. Federal Aviation Administration data from 2018 shows that, while the number of women pilots has increased since they started collecting data in 2004, they still make up only 7% of all licensed pilots and 6.4 % of commercial pilots. According to the International Society of Women Airline Pilots, 4,000 of the 130,000 airline pilots around the world are women, and only about 450 of them are captains. In the next 20 years, however, experts estimate that the industry will need 790,000 new civil aviation pilots and 754,000 new maintenance technicians, and there is strong interest in encouraging more women to enter the field. Already, there are a number of promising signs for the future of women in aviation. Women now make up 13% of student pilots, and every year, girls around the world explore possible careers at Women of Aviation Worldwide Week events. Role models like Captain and First Officer Rexon — and Kelly Rexon's sister Kate who is also a pilot — provide visible signs to girls and young women considering careers as pilots that they belong on the flight deck. For his part, Watret is proud that his photograph has sparked the imagination of people around the globe, observing that it's critical that the industry become more welcoming to all interested pilots, especially women: "There has to be more diversification in the industry.... When there are more opportunities, everyone wins." Young Amelia Earhart dreamed of flying like a bird, so as an adult, she decided to learn how to fly a plane! Female pilots were few and far between, but Amelia wanted to prove that women could fly just as well as men. First, she set a female world record by flying at 14,000 feet; then, she flew across the Atlantic and Pacific oceans; and finally, she decided to try flying all around the whole world. This board book from the Little People, BIG DREAMS series will inspire and empower the littlest readers. Violet Van Winkle could fix almost anything in her house by the time she was two. By eight, she's building incredible flying machines, even though the kids at school tease her for her eccentric creations. 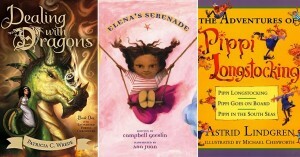 She decides to earn their respect by winning the blue ribbon at the Air Show, but on her way to the show, Violet sees a Boy Scout troop in trouble and has to decide which is more important: showing off her creation for applause, or using it to do the right thing. 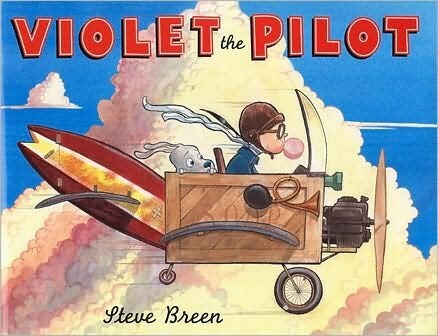 Kids who dream of careers as pilots or aeronautics engineers will cheer as Violet shows the world the joy of flight! Ruth Law set off on the first non-stop Chicago to New York City flight on November 19, 1916... a flight the experts thought was doomed. Exposed to the wind and cold in the seat of her little biplane — and then facing another challenge when her engine ran out of fuel — Law managed to glide safely into Hornell, New York, short of her goal but still setting a new record for cross-country flight distance. And despite the stop, she was greeted by thrilled crowds after refueling and finishing her trip to New York City. This exciting and action-packed story will leave young aviation enthusiasts fascinated, and is sure to inspire any girl who wonders what to do if she doesn't quite go the distance she'd planned. In April, 1933, Amelia Earhart and Eleanor Roosevelt found themselves together at a White House dinner party... one which wasn't exactly thrilling. So the two headstrong friends decided to head out for a little excursion: they crept away (still in their evening gowns), commandeered an Eastern Air Transport plane, and set off on a nighttime flight from Washington, D.C. to Baltimore! 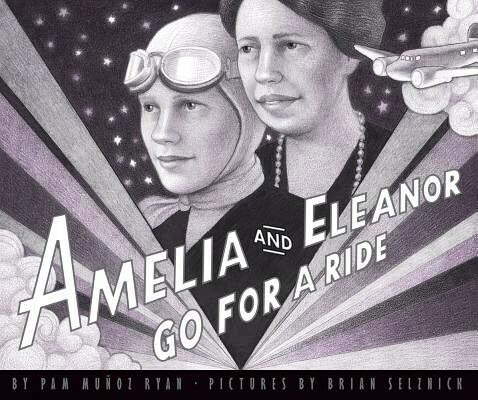 This lavish picture book, illustrated in the style of a vintage movie, celebrates the joy of adventure and the special relationship between these two historic women. Bessie Coleman knew she wanted to "find a bigger life" — one where her future didn't involve picking cotton and struggling to get by. When she grew up, she moved to Chicago and heard tales of the first World War from veterans... including stories of women pilots in France. So when no one in America would teach her how to fly, she saved every penny she could and traveled there, where she became the first African American to earn a pilot's license. 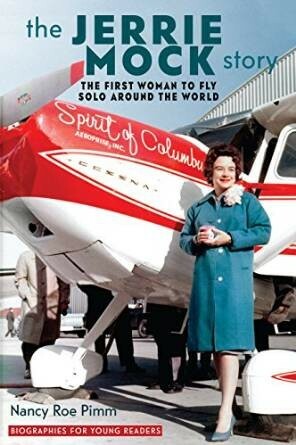 Coleman would return to America and become a famous stunt pilot, and everywhere she went, she would remind kids, "You can fly high just like me." This evocative picture book biography captures the determination and drive of this aviation pioneer. 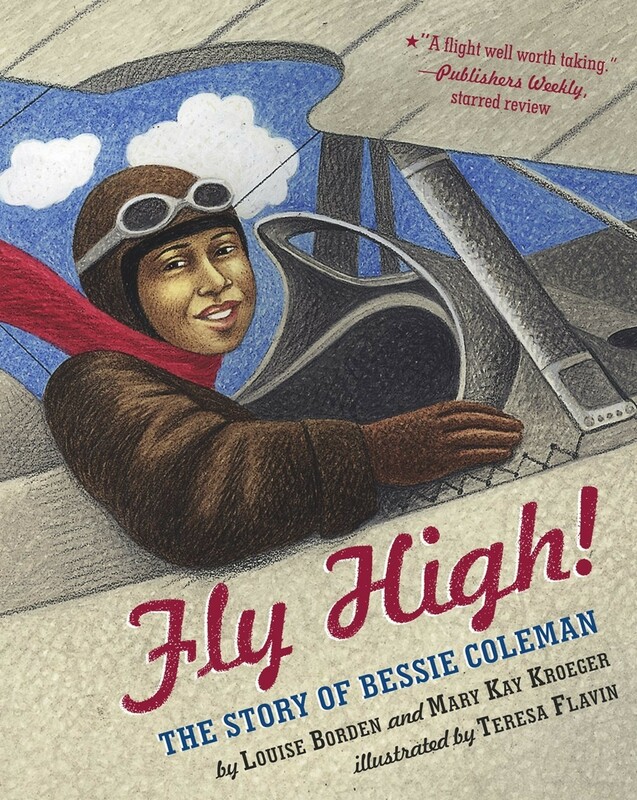 For another book about Coleman, check out Talkin' About Bessie: The Story of Aviator Bessie Coleman for ages 7 to 10. Jerrie Mock's love of aviation began in childhood, and she even attended aeronautical engineering in university, but she then settled into domestic life as a woman of her time was expected to do. However, when her husband jokingly suggested a round-the-world flight, her interest was rekindled, and she started planning a trip that could make her the first woman to fly solo around the world. What began as a lark turned into a race that thrilled people around the world — but then her story was overshadowed by the Vietnam War and largely forgotten. This thrilling telling of Mock's record-setting flight will fascinate young aviation fans. 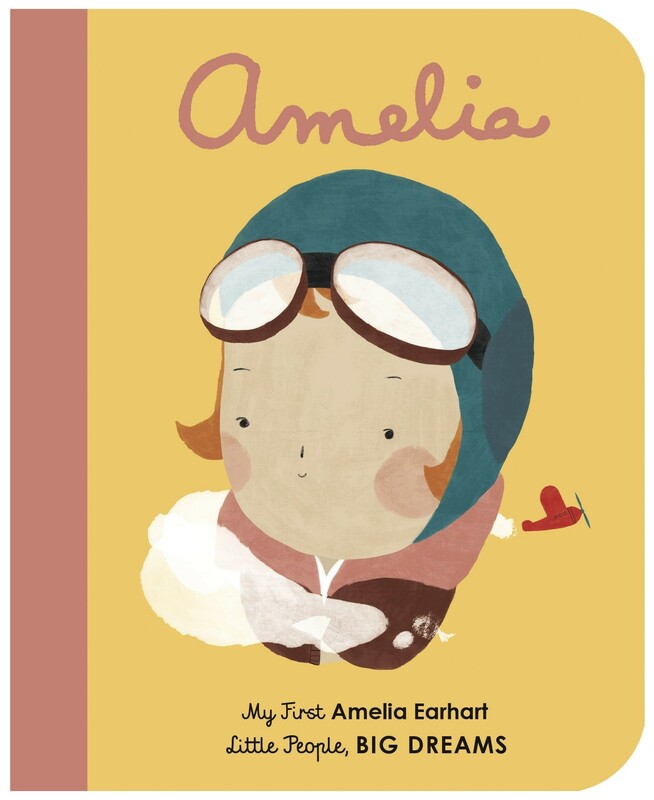 Younger readers will enjoy Aim For The Skies: Jerrie Mock and Joan Merriam Smith's Race to Complete Amelia Earhart's Quest for ages 5 to 9. Did you know that Katherine Wright, the Wright Brothers' sister, was involved in the invention of the airplane? It just goes to show that women have been involved since the first days of aviation! 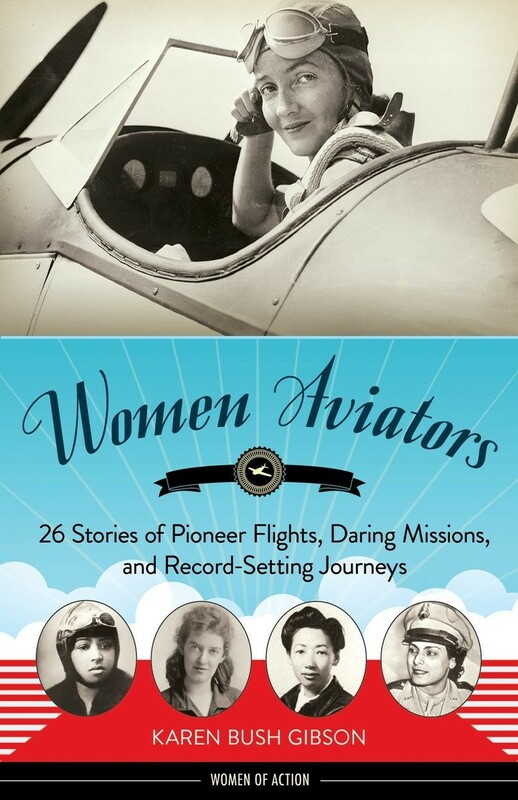 In this book from the Women of Action series, teens will learn about her and 25 other aviation pioneers who defied the idea that only men had the physical and mental capacity to fly. Along the way, they set new records and inspired people around the world! Author Karen Bush Gibson draws on primary sources to tell the stories of these women with verve and flair. In the midst of World War II, Josef Stalin made the Soviet Union the first country in the world that allowed female pilots to fly in combat. Three regiments of women, led by Marina Raskova, took to the skies, including the 588th Night Bomber Regiment, which would be nicknamed the "night witches." But facing the horrors of war and discrimination and pressure on the ground wasn't easy for these pilots, many of whom were still in their teens. 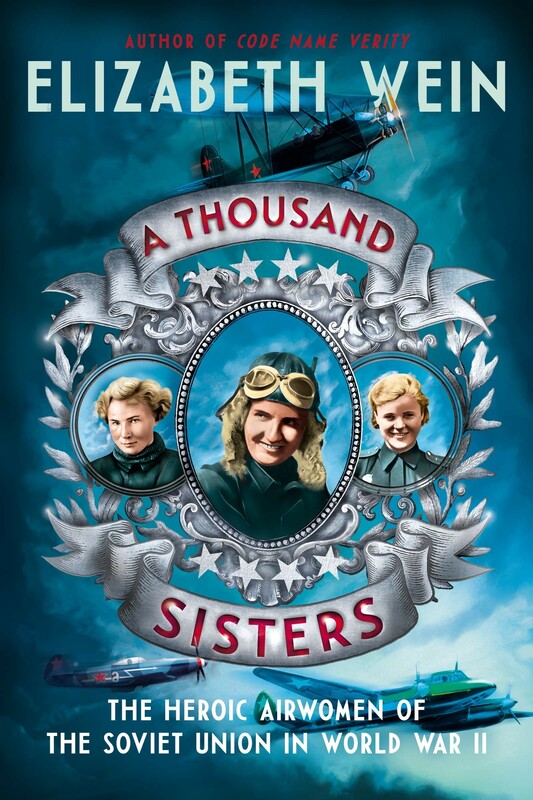 Elizabeth Wein, the author of the best-selling historical fiction novel Code Name Verity, sets her sights on non-fiction in this compelling story about these daring pilots and the sisterhood they formed as they changed the world. For two fictional novels about the Night Witches, check out Among the Red Stars and Night Witches: A Novel of World War II, both for ages 13 and up. In the 1930s, everyone loved air racing, and male pilots were considered daring and courageous heroes — but female pilots were the subject of ridicule; why would people more suited to a home and kitchen even try to take the controls of such a dangerous machine? 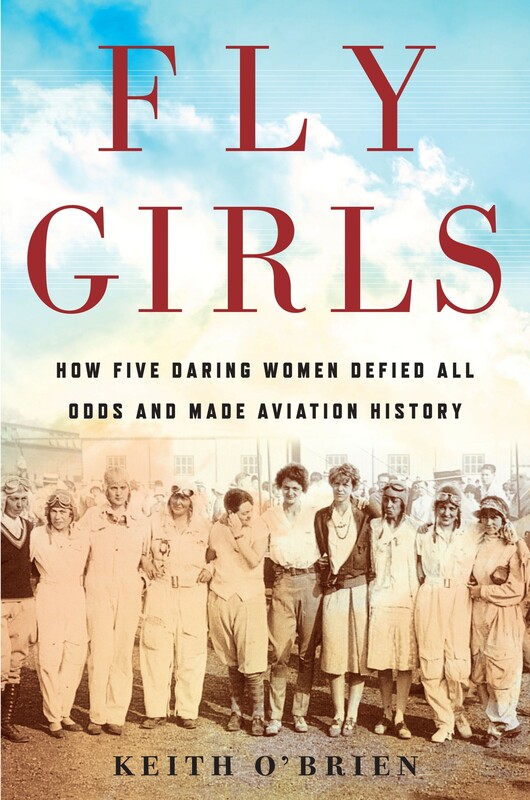 In this book, Keith O'Brien tells the stories of five women who dared to challenge the entrenched prejudice and prove that women had what it took to fly. 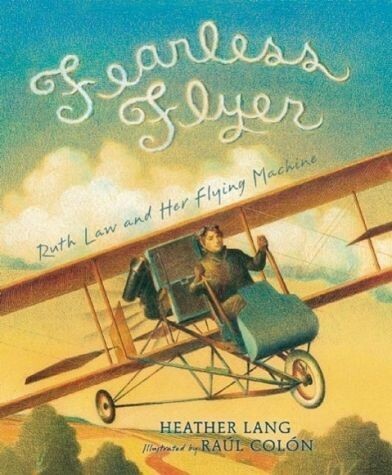 Florence Klingensmith, Ruth Elder, Amelia Earhart, Ruth Nichols, and Louise Thaden came from drastically different backgrounds, but they all had a dream of flight... and one of them would prove that a woman could do more than just fly: she could win the toughest race of them all.